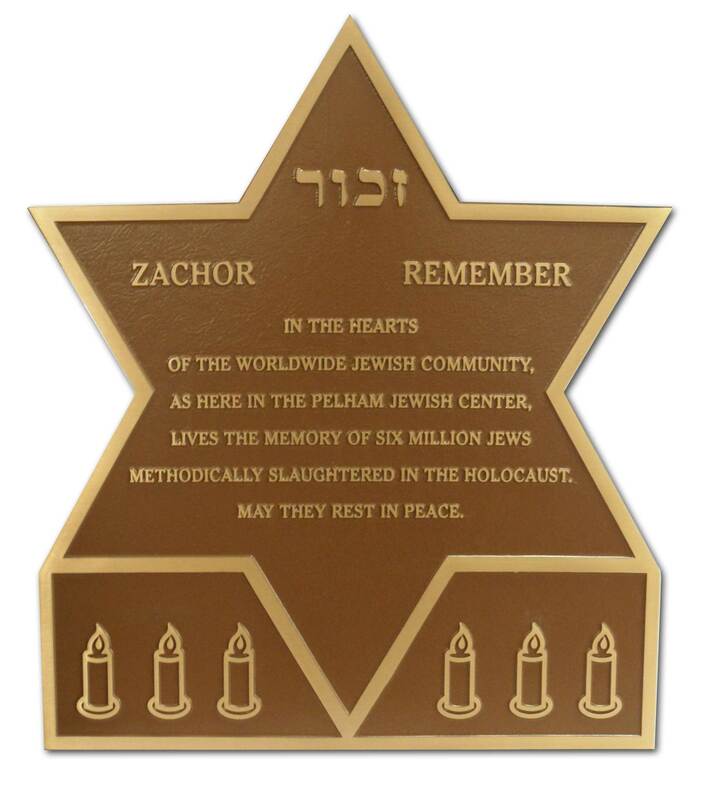 Memorials to the Six Million are custom designed and manufactured in many mediums. W & E Baum takes great pride in creating unique one-of-a kind Memorials honoring the six million victims of the Holocaust. 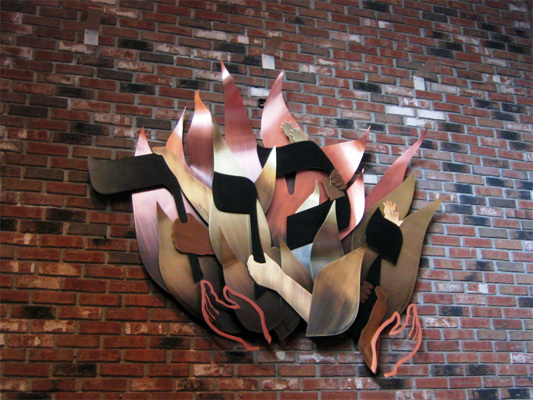 Contact us to discuss design options. 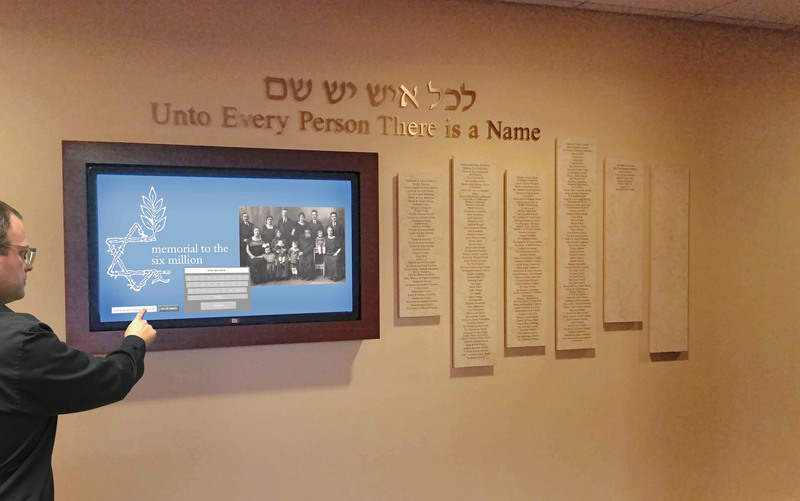 42" interactive LCD screen with touch screen capacity to search for a particular name, photograph, bio or list of all Holocaust victims. 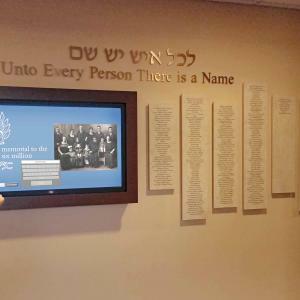 200 names are printed in brown ink on 3/4" thick marble Jerusalem Gold columns. 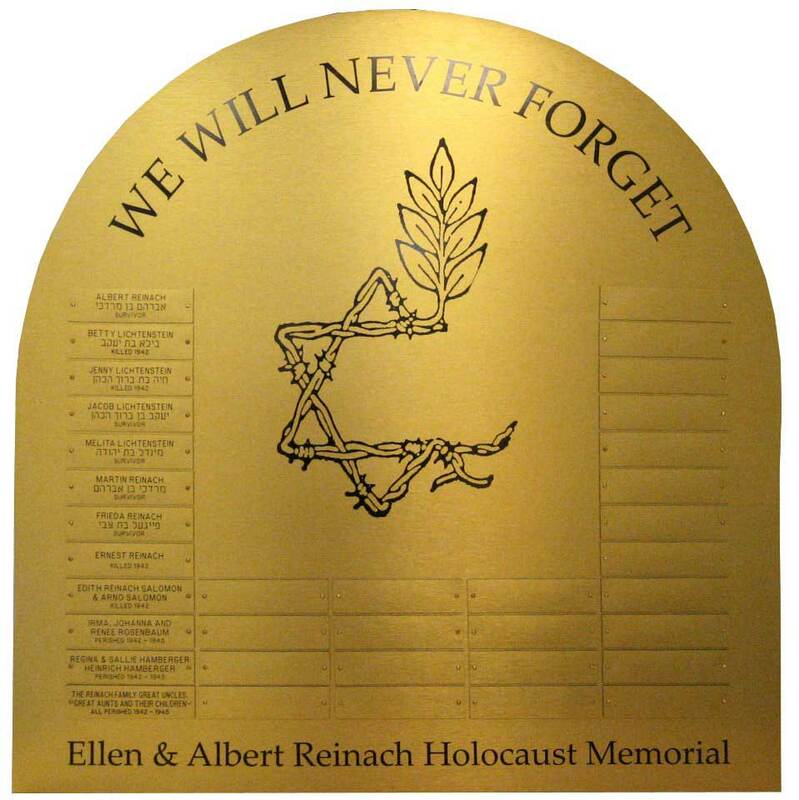 7" Individual satin brass Hebrew and English letters title the wall. 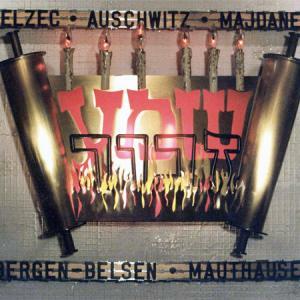 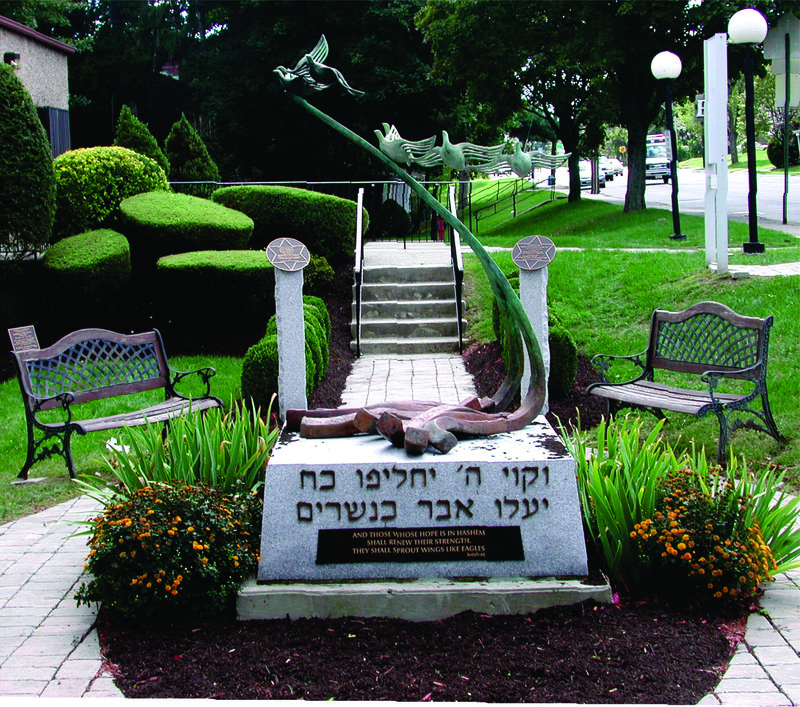 Hands holding the Torah rise from the flames - sculptured in bronze, framed in simulated bronze barbed wire, with concentration camp names fabricated from Individual letters. 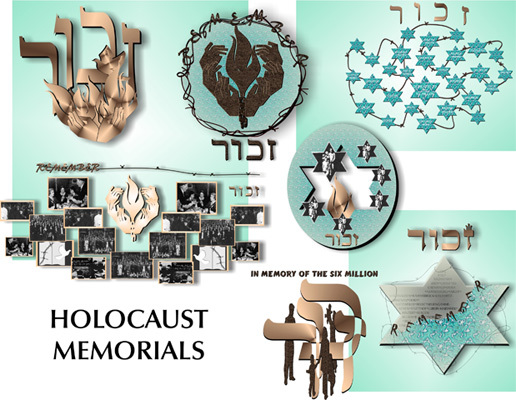 Preview sketches for Holocaust memorials. 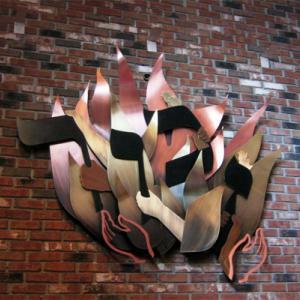 A burning metal Torah sits behind metal and acrylic back lit flames. 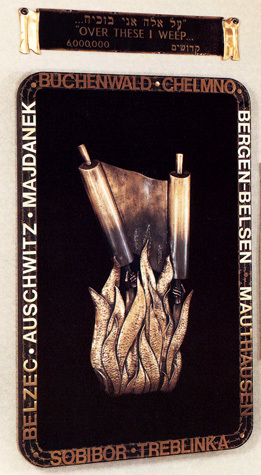 Six candles are mounted above lit acrylic lettering. 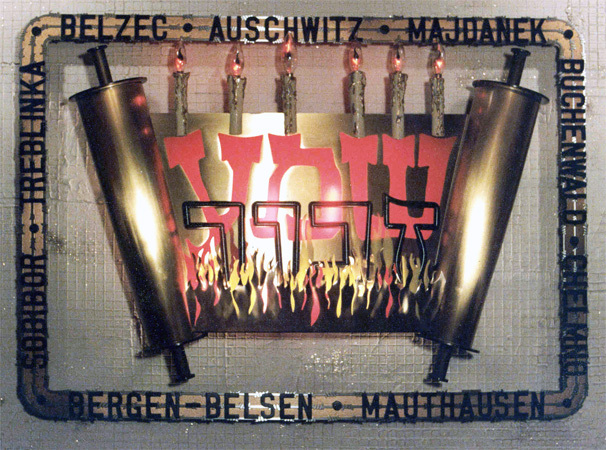 A simulated barbed wire frame has concentration camp names mounted to it. 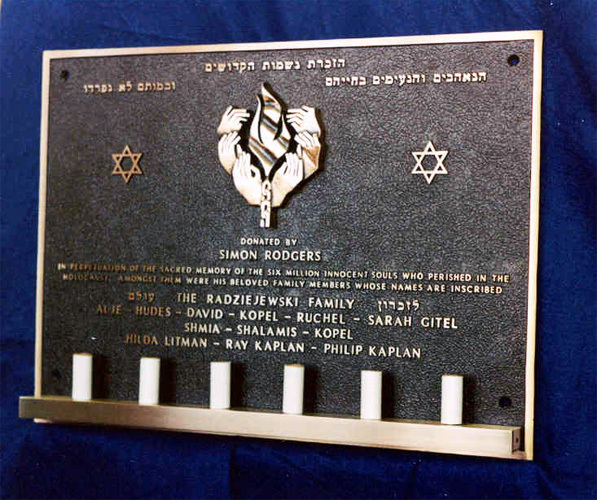 A 36" x 48" cast bronze plaque with raised inscription and six symbolic candles. 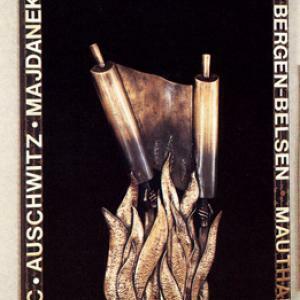 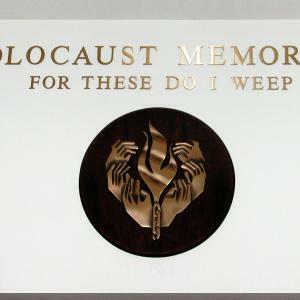 The center emblem depicts hands in chains surrounding a flame. 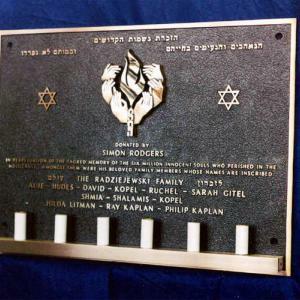 6' multi dimensional brass and copper flames are intertwined with hands and Zichor lettering forming this magnificent, unique Memorial to the Six Million. 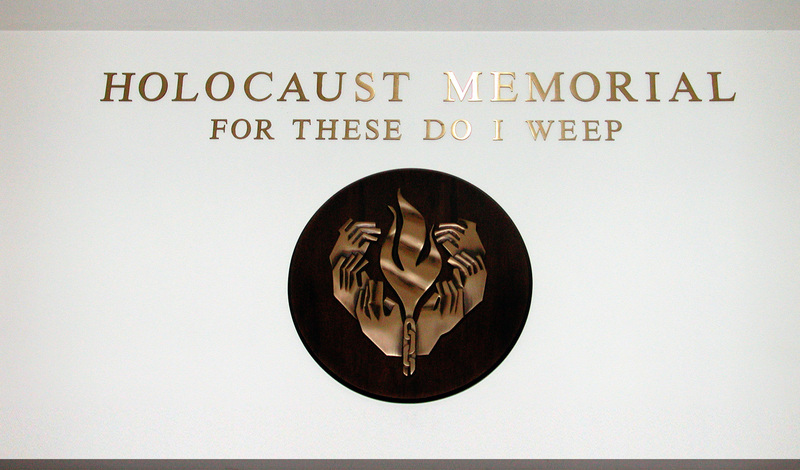 Individual brass letters title a sculpture bronze hands and flame mounted to a black acrylic oval. 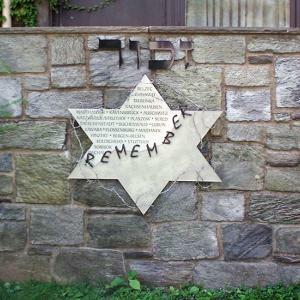 Cut and etched glass Star of David with raised and recessed letters. 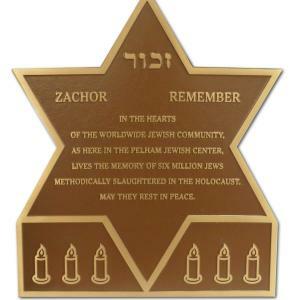 Simulated barbed wire wraps the star. 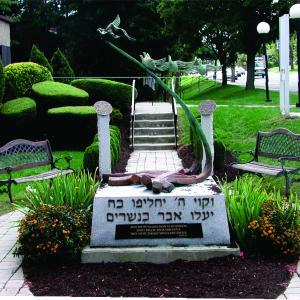 A magnificent bronze Holocaust sculpture with bronze letters on granite. 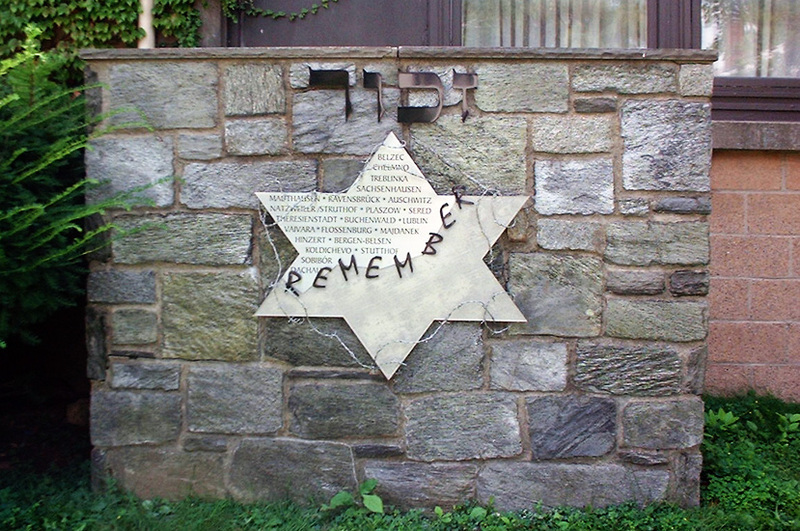 Circular Jewish Star plaques acknowledge donors to the memorial garden. 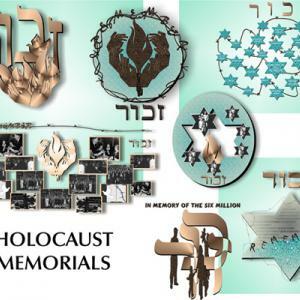 Contact us to discuss creating a memorial to the 6 million for your synagogue.